Kabras were first on the scoreboard through a Philip Wokorach try that saw Ivan Chirabo add the extras five minutes into the match. 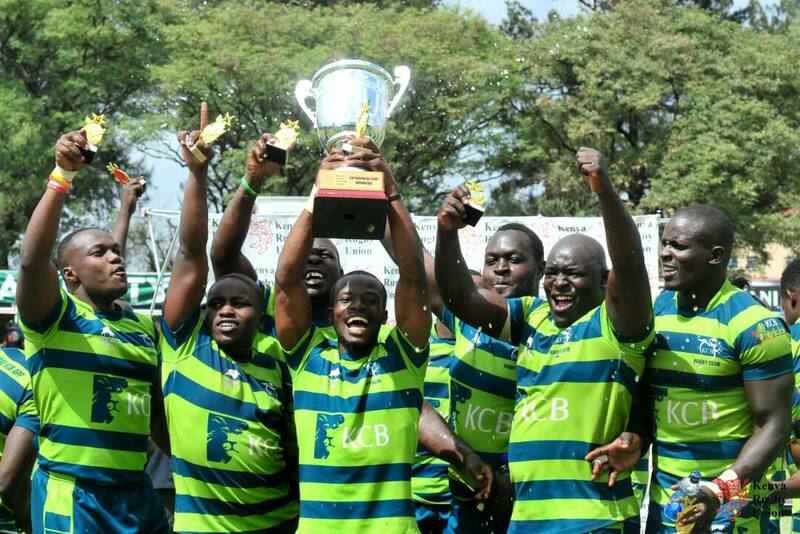 Applying pressure to the KCB side, an infringement by the bankers saw Kabras boot in three points through Wokorach. KCB narrowed the gap as Marlin Mukolwe split the posts giving his side three points reducing the gap to 10-3. The bankers picked up on their momentum their flowing of the ball saw Andrew Amonde land the first try for his side as Mukolwe added the extras; scores were now tied at 10-10. Kabras would then boot in two penalties in this half that bracketed a Collins Wanjala try. Scores at half time were 16-15 in favour of Kabras. Kabras were quickly setting the moment in the second half as John Kubu dived over the whitewash with Wokorach adding the conversion. 23-15 score was quickly reduced to 23-20 as Curtis Lilako scored his try but the conversion sailed wide. Lock Nick Ongeri broke the Kabras defense line but a high tackle just before the try line resulted in the referee awarding a penalty try to KCB and a yellow card to the Kabras tackler. This brought the full time scores to 27-23 which sees the bankers retain the Enterprise Cup title for the third year running.